What the evidence shows us, though, is that marijuana is not safe. Regular use that starts in adolescence has been shown to impair brain development, shrink school and career outcomes, and even lower IQ. With the high THC levels in marijuana today — it’s up to seven times more potent than it was in the 1970s — about one in six users who start as teenagers become physically dependent. And increasingly, medical science is also showing a frightening correlation between regular marijuana use and severe mental health issues. Even an untrained eye can see differences between the MRI brain images of those who habitually use marijuana and those who don’t. There are also serious and immediate implications for public safety. In the year after the drug was legalized in Colorado, marijuana-related emergency room visits increased nearly 30 percent, as did traffic deaths involving marijuana. Edible marijuana products — often in the form of brownies, candy, or soda — pose a particular threat for children, who may mistake them for regular treats. According to data from the National Poison Data System, marijuana exposure has been on the rise among children under six, particularly in states where the drug is legal. High potency edible products also pose a risk to adults, who can easily consume more marijuana than intended and experience serious adverse effects. These products are rarely labeled properly to reflect their psychoactive THC content, which is particularly concerning given that edible marijuana products constitute almost half of the legal marijuana market in Colorado. The costs to our first responders, our medical system, and our cities and towns must be factored in when we speculate about the potential increase in tax revenues from legalizing marijuana. In Colorado, marijuana sales taxes account for just a fraction of one percent of total state revenues. Here in Massachusetts, we face the possibility that any new revenue would be vastly insufficient to cover the cost of ambulance rides, emergency room visits, and treatment. And these are just the hard costs; they don’t include the suffering of the injured and their families. 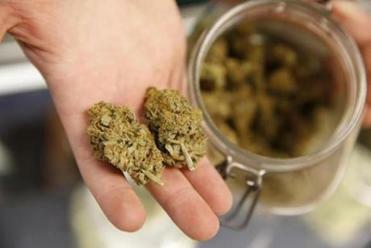 The lawmakers will get a primer on life in a state that has already legalized marijuana. 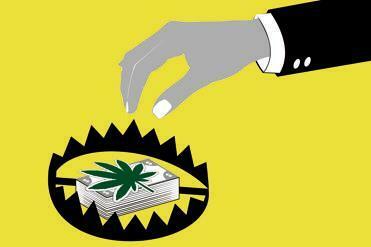 The financial backers of legalization are not neighborhood leaders, medical professionals, or grass-roots activists. They’re big businesses and investors, who are spending millions on campaigns across the country because they will profit from the legalization of marijuana. A high-level official at the Marijuana Policy Project, a driving force behind the Massachusetts initiative, recently resigned from the organization due to his growing alarm that the marijuana industry is putting profits over people and taking over the movement for legalization. Motivated by the profit potential of dominating a new marketplace, proponents know it’s not in their best interest to disclose or address the serious threats to public health and safety, nor to represent accurately the experiences of Colorado and other states. We hope voters will listen to the doctors, counselors, and substance-abuse specialists in our own world-class medical community who are expressing concerns over legalization. Decades of research have now debunked the myth that marijuana is harmless. The science also shows that regular marijuana users — especially those who start at a young age — are more likely to try more dangerous drugs. For the past year, our teams have worked tirelessly, together and with our partners across Massachusetts, to combat the heroin and prescription-drug epidemic that is ravaging our state. Our emergency departments and drug treatment centers are beyond capacity, and our first responders are stretched to their limits. We should not be expanding access to a drug that will further drain our health and safety resources. Charlie Baker is the governor of Massachusetts. Maura Healey is the state attorney general. Martin J. Walsh is the mayor of Boston.